Only three more training weekends left until the Bike MS Rock’n Hot Ride which goes from Little Rock, AR to Hot Springs and back over two days, 140 miles, and 8,000 feet of elevation gain. I ride in memory of my godmother Barbara Hoffman who died of Multiple Sclerosis in December 2014. Please consider supporting my 8th annual Bike MS ride and helping me meet my fundraising goal by donating to the National MS Society. This Saturday I followed a similar route as last Saturday, doing a version of the Dam(n) Loop so that I could ride hills. Luckily, this weekend it was about 5 degrees cooler than last weekend when I complained about the heat in my post. 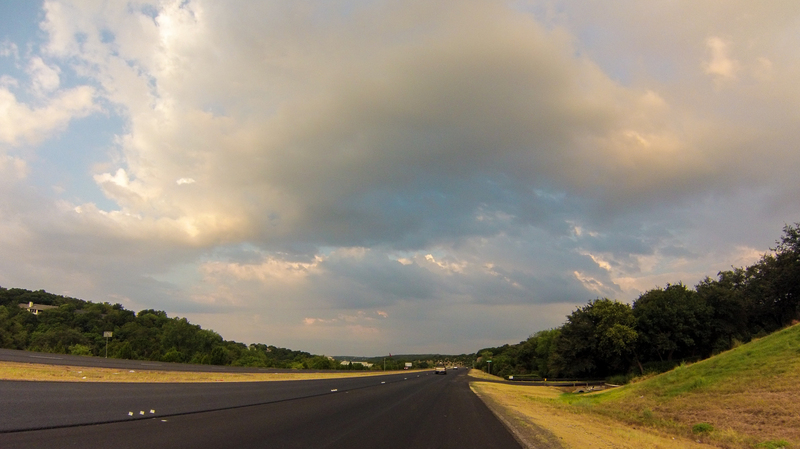 That cooler (but still hot) weather was accompanied by some great clouds. I started my ride at 7 am with the sunrise. 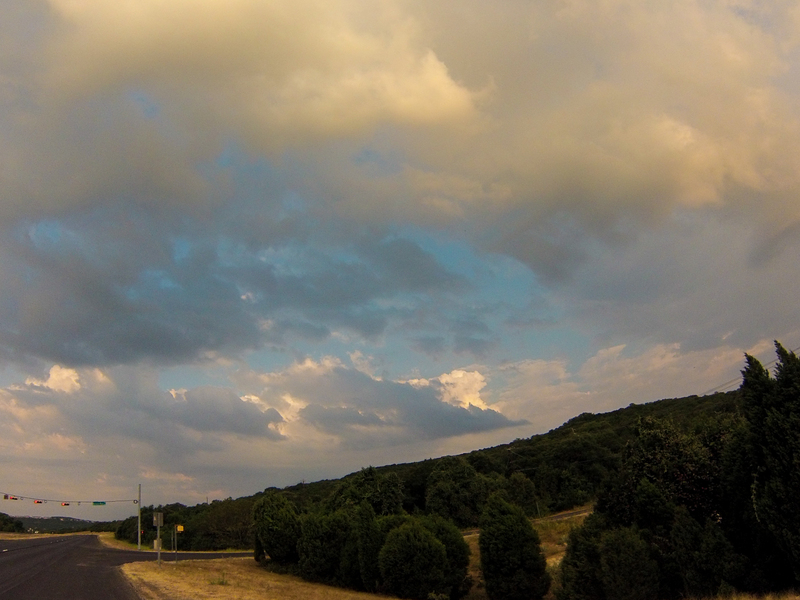 There were lots of clouds around creating a picturesque sky hard to capture with my GoPro. 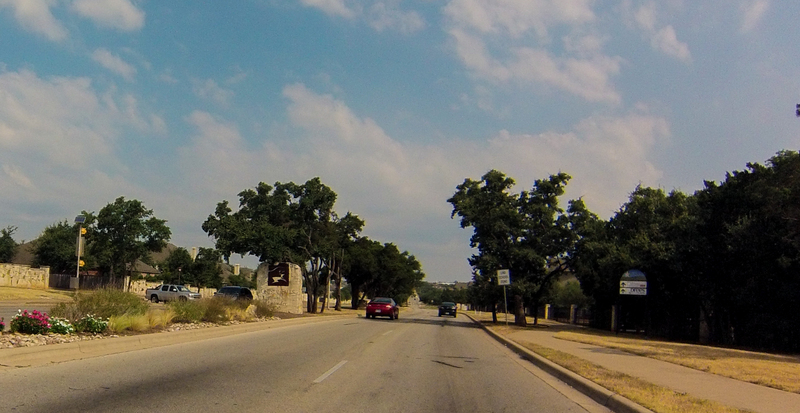 And not too long after making the turn onto 620, it happened. I got rained on. 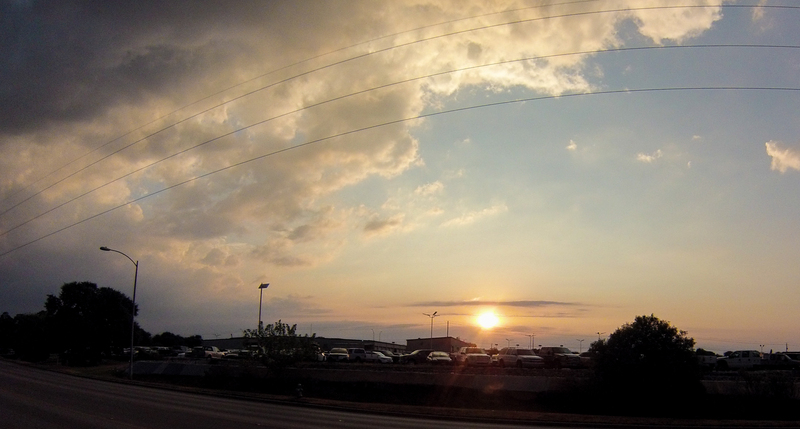 But the sky wasn’t completely covered in clouds so I knew it wouldn’t last that long, and it didn’t. I even got to see a rainbow behind me! Which was nice because not very long after that the annoying happened. 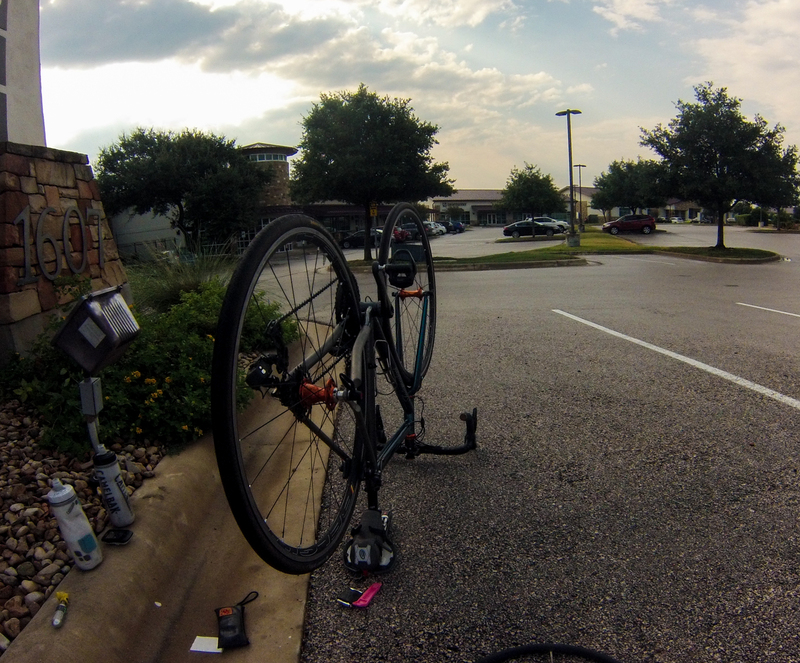 Rear flat! After getting to the north end of 620, I snaked through some neighborhoods in Cedar Park to hit Lakeline Blvd and ended up in Leander. 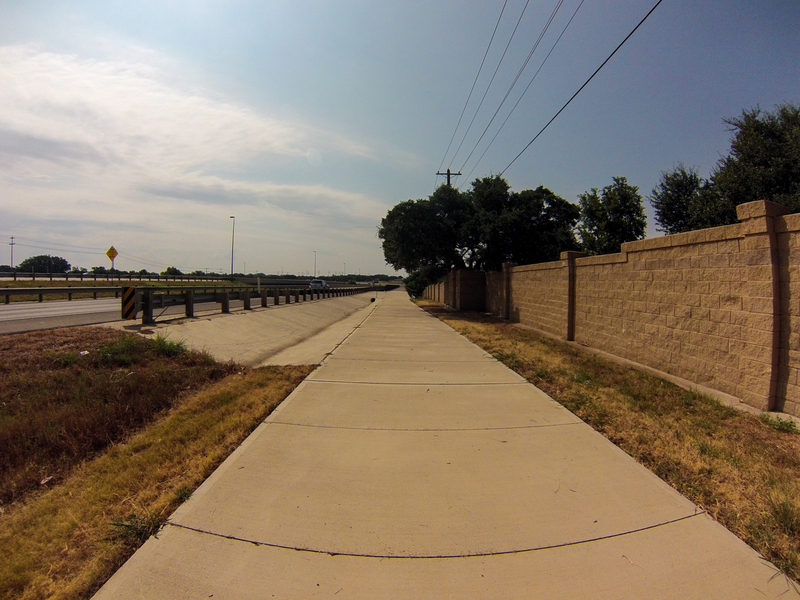 I hit a different section of the new paved trail along the 183 toll road. 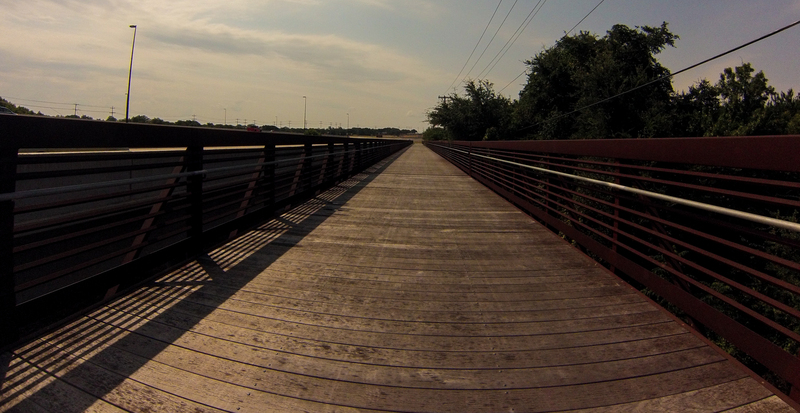 It is wide and pretty smooth except for when you hit some wood bridges! 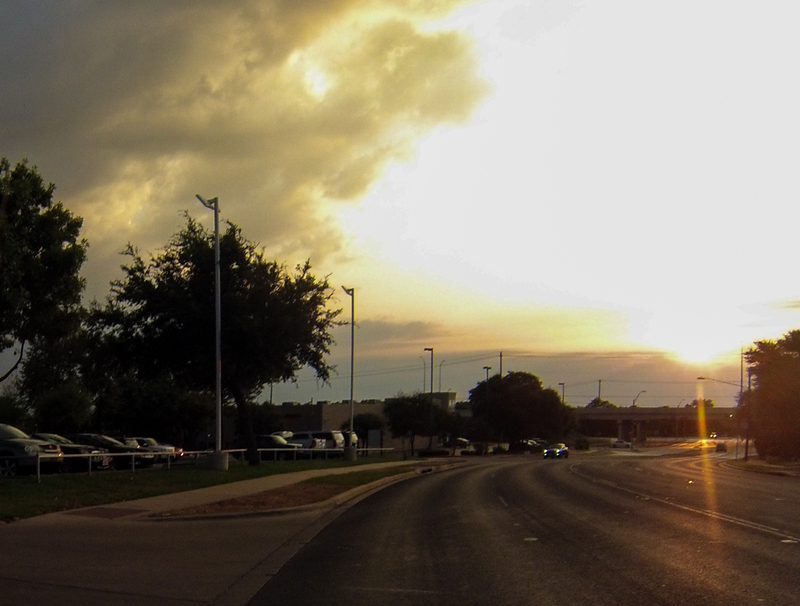 The trail goes by Cedar Park Center, home of the Texas Stars. I exited the trail at the same point as I did last week, but coming from the north this time. 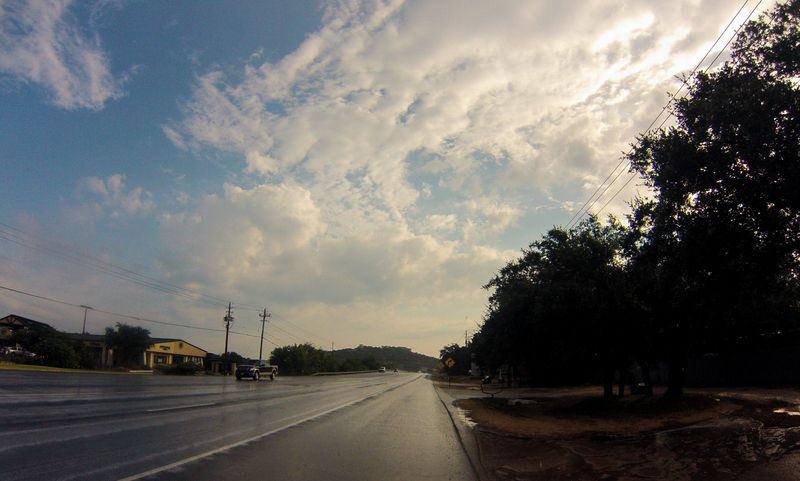 Saturday’s ride was not nearly as hot as last week’s ride because of the cloud cover and rain. I averaged 16 mph over the 72 mile, 3,500 fit elevation gain route. 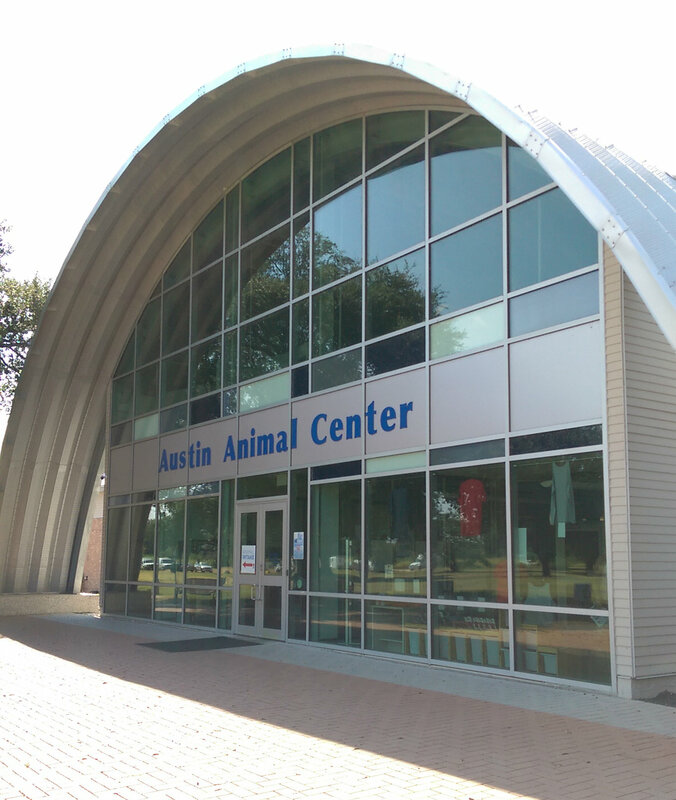 On Sunday, I had a volunteer orientation at the Austin Animal Center so I used that as my bike ride. I rode there and back for a total of 37 miles round trip.